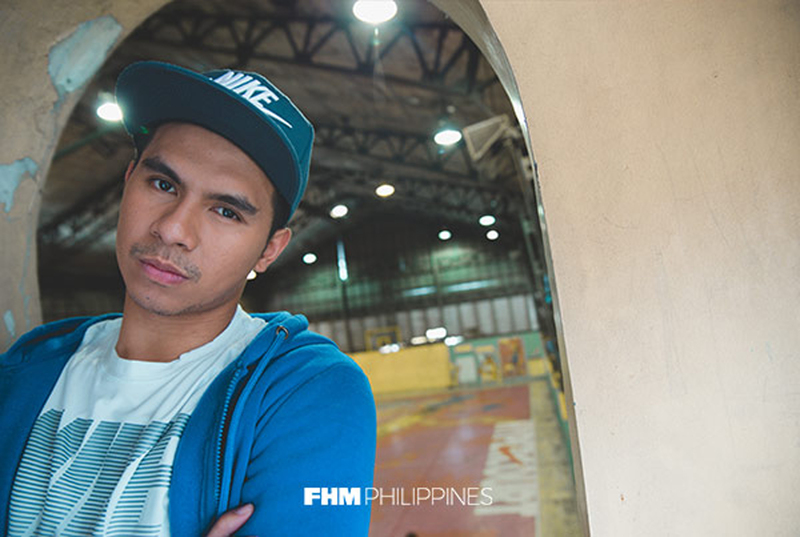 Where his game is concerned, Kiefer Ravena will never traffic in lies. 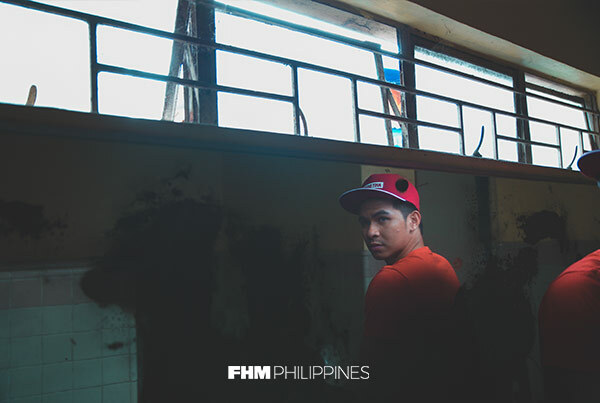 Doubt and wish him doom all you want, but Kiefer, whom we honored with an FHM Guy Genius Award in 2013 (January issue—our 150th; the first of two Marian Rivera-fronted issues!—if you're one of them completist collectors still missing a copy—Ed. ), will always find ways to make you believe. His craft, after all, is his truth. "Kiefer's been described as a once-in-a-generation talent," we wrote back then. "A prodigy with an endorsement-fetching nick whose feel for the electrifying and knack for dominating games even under duress recall a time when gritty, old-school Pinoy basketball heroes inspired idolatry that felt like healthy, if not nonsensical, meditation on love and hate." He was just 18 then, an incoming college junior just months removed from the powerhouse Ateneo de Manila University's historic fivepeat-clinching championship in 2012. 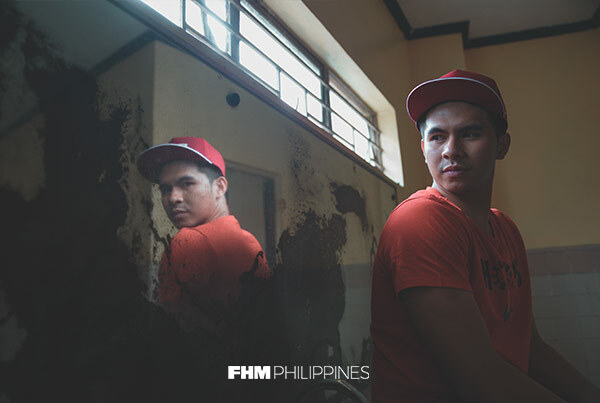 The decision to include him on the Genius list—a two-time UAAP champ who was not really the acknowledged star of the varsity team and was still years away from joining the League—was a bold call, sure, but hardly ever an issue. He earned his place alongside seemingly more accomplished honorees like Lourd de Veyra, Michael V., Ely Buendia, and Eddie Garcia, nonetheless, because of the promise we were so sure he’d fulfill. The basketball junkies in us were so convinced our crystal ball wasn’t feeding us lies that we further prophesized: "Thankfully, all these accomplishments and championships, incredible as they already are in scope, are but teasing early chapters of what figures to be a very well-thought-out basketball career. Kiefer, ever humble, will not say it out loud of course. But he’s too smart to not know the future is his to take over." Kiefer’s future is primetime viewing to us all now—and what a show it's been so far. He surely has lived up to the lofty billing that goes with having one of the most bankable monickers in sports. "Before making the big jump to the PBA, there were doubts surrounding Kiefer," Dodo Catacutan, SPIN.ph editor in chief, says. "Is he big enough to be a scoring threat? Is he quick enough to be a point guard? In just a few games, I think it's safe to say he has erased all doubts." You can thank his uncle, by the way, for christening him with a nickname that sticks—and creating this video (likely a key footage in a future same-day edit wedding avp) for helping to kickstart his unfolding legend. To be phenomenal is a destiny he has learned to live with practically since he was old enough to shoot the basketball. Kiefer says he grew up getting compared frequently to his dad, 1992 PBA Rookie of Year Awardee, two-time PBA All Star, and now TNT Katropa Assistant Coach Ferdinand "Bong" Ravena. He got jeered a lot for his so-called inferior talent. 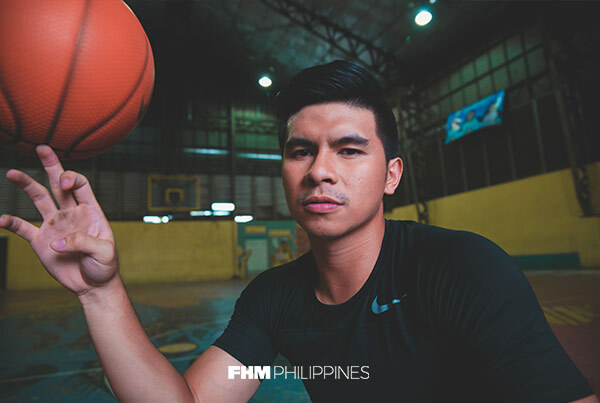 In their minds, critics already saw the writing on the wall: Kiefer Ravena would never be as accomplished a hoops star as his father was. "Parang at such a young age, there were people who were already trying to bring me down." Kiefer recalls. "They'd say, 'Ah, hindi yan magiging katulad ng tatay niya, hindi yan aabot sa PBA katulad ng tatay niya.' The experience taught me perseverance and hardwork. It taught me how to turn everything—the negative and criticisms, included—into a motivation to get better. It was difficult, but it was the road that I took." The NLEX Road Warriors' rookie sensation says all this with the ease of someone who enjoys reading way too much inspirational quotes on IG. Not that there's anything wrong with that, by the way. But it's quite refreshing to hear someone of his burgeoning cachet and high-octane doggedness talk about who he is, what he stands for, and how he rises above daunting adversities so matter-of-factly and without breaking eye contact that you'd want to pause, step back, and evaluate what you need to accept in your lives right now to move forward in these anxious, divisive times. 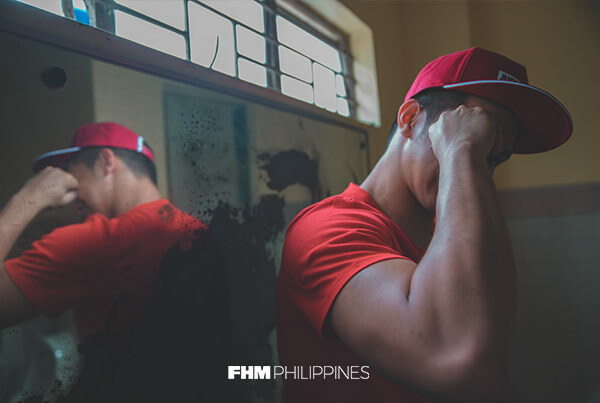 "Not everybody is nicknamed the 'Phenom,' not everybody has this amount of exposure and attention, and everybody's looking at you, waiting for you to make a mistake that'll blow up in your face," he says. "That's probably how the nickname is [if you think of it as a curse], but I think of it more as a gift. And the sooner that you're able to accept the fact that you're this type of person, it's easier for you to do all the responsibilities that will come with it. The sooner you accept it as a way of life, the smoother your experiences will be." 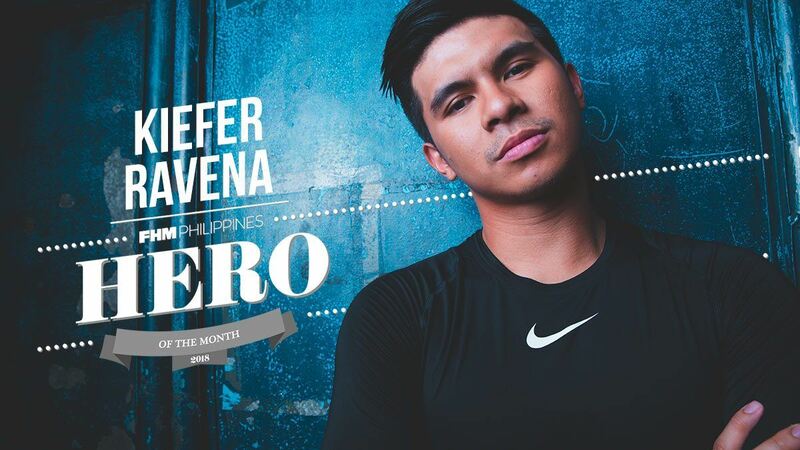 To be Kiefer is to be phenomenal at all times. He never gets tired of it at all apparently because, well, basketball is life, right? Before this shoot at the Comembo Nike Hypercourt began, the Phenom probably already had an idea on what he needed to do this afternoon: strike a pose here and there, do some quick instructionals for the benefit of us all Barangay Hoops hopefuls for a bit, maybe talk about his Phenom con Phenom love match with volleyball superstar Alyssa Valdez for a minute or two. But first, he has to play ball, probably his way of paying respects to what he must most likely consider a holy place on his first visit. He hoisted a total of 50 jumpers, shooting from all angles inside the two-point area and then from beyond the arc. He swished 33 of 50 from the field (a scorching 66% shooting clip—yes, we counted!). 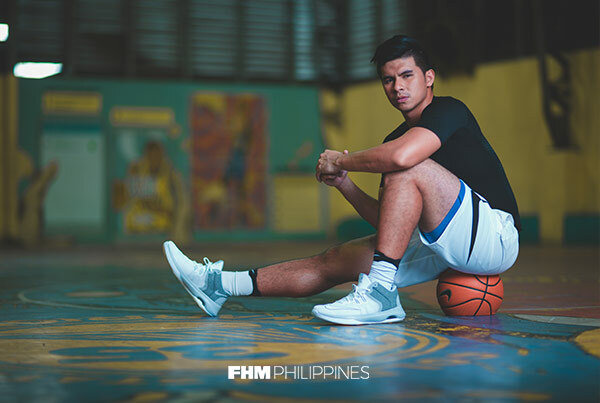 "May times na parang may mga breaks kayo, tapos I'll try to stay at home and rest as long as I can," Kiefer says. "Pero pagdating ng after lunch or before dinner parang I'll feel the need to work out, pumuntang gym, or pumuntang village park just to shoot a few shots. Kasi di mo lang talaga kayang nasa bahay ka lang. It's part of an athlete's nature and mentality. If you want to be the best, work hard and train like you're the second best, like you always wanted to be greater than the No. 1 athlete." Taken to the extreme, Kiefer can be quite mad at this competitive thing. "Every single way that I could be better than you, I'll do it," he confirms. "Unahan sa remote ng TV! If, say, there's a big PBA game I want to watch, kung kelangan mag-sprint talaga bago mag-Netflix ang mga kapatid ko or yung mom ko [magda-dash talaga ako]. I'll beat anyone sa call time. If you're there an hour and half early, I'll be there two hours before." Such attitude can only mean sweet music to his equally fiery and fierce NLEX Road Warriors Coach Yeng Guiao, who wasted no time selecting the prized recruit with the second overall pick at the PBA 2017 Rookie Draft. Kiefer rewarded his coach's trust in him from the get-go, dazzling in his debut as a pro and notching an impressive 18-point, 12-assist, and seven-rebound line in NLEX's 119-115 win over the hapless and unconventional Kia squad. He's been named PBA Press Corps Player of the Week twice, has bounced back from a bad shooting game versus Ginebra to nail a buzzer-beater against his ex-Ateneo mentor Norman Black's Meralco Bolts in his team's next match, and has piloted the Road Warriors, together with savvy backcourt mate Kevin Alas, to its first PBA semifinal stint in the four-year-old franchise's history. It's obvious Kiefer has played braver, smarter, and more spirited under Coach Yeng's expert guidance and moxie. "Kay coach, mix of hardwork and court smarts ang shina-sharpen niya," the two-time UAAP MVP says. "Yun dalawang yun ang kelangan to play for him. He's a player's coach. He will give all the opportunity you need to excel. Alam natin ang caliber ni Coach Yeng e. Tatapang ka talaga as a player under him kasi kung pusong mamon ka, mahihirapan ka. Kasi yung approach niya iba from other coaches, medyo ma-theory siya, medyo colorful language. Awa naman ng Diyos, minsan pa lang ako napagalitan ni coach." His stunning almost hitch-free transition to the pros has earned him another crucial responsibility for Coach Yeng's squad this early in his professional career: make winning plays when the game's on the line. And in his first taste of the PBA Playoffs, The Phenom mightily displayed how way ahead of the curve he was. Yes, he was miserable from a shooting standpoint (1-13 shooting from the field for a dismal 7% accuracy) in Game 2 against the Alaska Aces, but his imprint was all over the game in the clincher as he dished two timely assists to unheralded big man Michael Miranda to seal the 87-83 victory. In a late-game sequence with seconds to go and NLEX protecting a four-point lead, Kiefer deflected a pass directly to Alaska's Chris Exciminiano's hand, sending the ball out of bounds and the possession back the Road Warriors' way. Yes, he's that clever. In NLEX's two-game sweep of the third-seed Aces, Kiefer averaged 18 points, 7.5 assists, and 1.5 steals, making him a marked man in his team's upcoming semifinals showdown with the second-seed and Paul Lee-anchored Magnolia Hotshots. 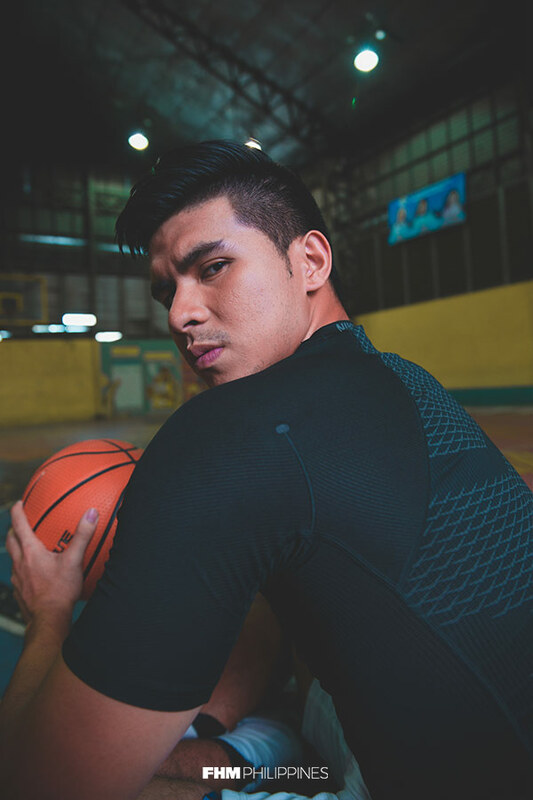 "Being one of the closers on the team, I have the responsibility to work hard for it," Kiefer says, in his now all too familiar businessman-like tone. "Practice talaga and simulate late-game situations para if this happens during a game, mentally ready na ako, tapos susunod na lang yung katawan ko. Pag kasi ang utak mo prepared and mentally tough ka to take the shot, mentally tough ka rin to make the right decisions. Then your body will just follow everything your mind thinks you can do." As sportscaster Boom Gonzales, who has called a number of Kiefer's game in the UAAP, puts it, "Kiefer's never afraid of the moment or the consequences (social media backlash) of what he would do during winning time. He's a standout because he simply has BALLS. He was always gutsy—offensively and defensively. That's his number one quality." And that's just Kiefer manifesting, as he's always been, his mastery in the clutch.